The Great Wolf Lodge in Georgia is offering a brand new concept for their resorts that allows parents to drop off their child for a four-hour timeframe in the evenings. Parents can enjoy some alone time in the adults only areas of the resort while the kids are supervised in a safe and secure location! Great Wolf Lodge Georgia is NOW OPEN. Come read about it here! The new concept is called Camp H.O.W.L (Habitat of Wild Learning) and is exclusive to Great Wolf Lodge Georgia. The space will be open to families during the day for a variety of activities, and then in the evening, it transforms into a parent-free kid's club with educational and entertaining activities for children. 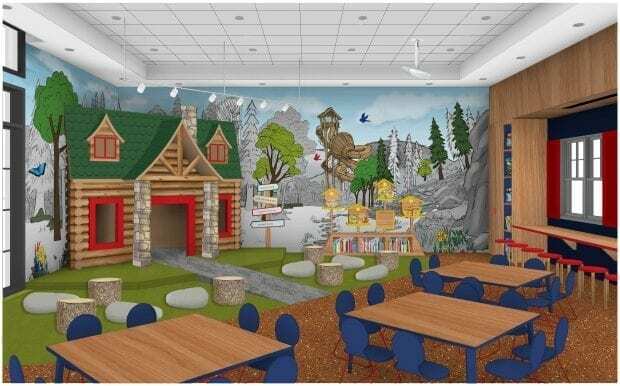 The space was designed to feel as though guests have stepped into the Northwoods forest, complete with a Great Wolf Kids cabin that serves as both a backdrop for a multidimensional stage and a play space that houses an assortment of interactive activities. Families can visit Camp H.O.W.L. throughout the day and participate in a variety of complimentary activities such as craft-making, character sketching, coloring activities, interactive games and more. The parent-free secure programming is specifically designed for children ages 4-12. 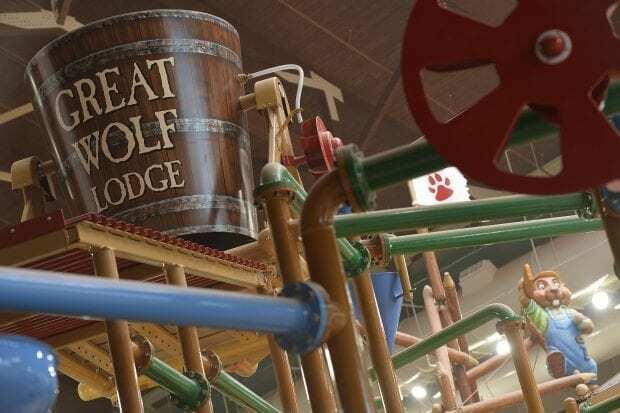 A Great Wolf Lodge trained Ambassador of Fun will lead the children through a variety of activities including crafts, interactive games and family-friendly movies. Initially, secured programming will only be available during a four-hour time period in the evening with two designated drop off times — one that includes dinner and one without. There will be a nominal fee for kids enrolled in the evening secured programming. Each night at Camp H.O.W.L. there will be three unique program themed events. The themed programs will rotate throughout the week and include “The Great Outdoors, Indoors” where kids will learn the basic essentials of camping, “All Living Things: Exploring Animals A-Z” where children will explore all things animals, and “Bugs, Bark, and Blooms, Oh My!,” which will dive into nature, insects and more. While the kids are playing, so can the adults! Check out the Northwood Springs adult-only oasis located near the outdoor pool. It features a hot tub and lounge chairs. 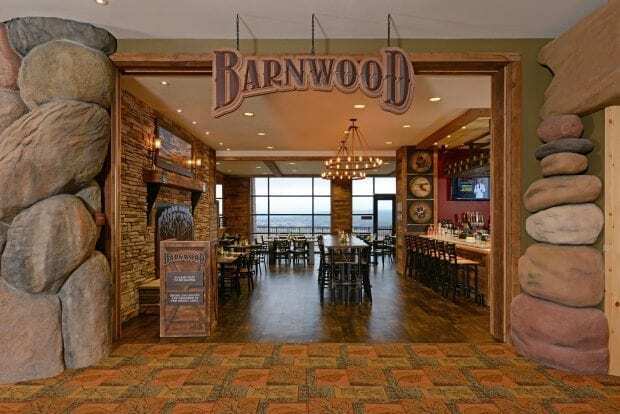 You can also go enjoy dinner at the Barnwood which serves up dishes that are farmed fresh within 100 miles of the resort. Enjoy delicious craft cocktails at The Watering Hole before picking the kids up for bedtime. Great Wolf Lodge also offers an amazing service called the Wine Down service. You get a curated selection of food and wine pairings delivered to your room. Room service will even send a text to alert you of their arrival so that the knock on the door doesn't wake your children! We are super excited about this new feature coming to Great Wolf Lodge in Georgia!